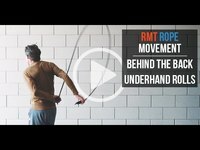 Underhand rope workouts using the RMT Rope unite your hands with your lats, core, upper back and biceps while performing three dimensional fluid movement patterns with a focus on supination. Your “flight" response integrates, strengthens, and coordinates both sides of your body. Underhand rope workouts translate directly to locomotion and moving with more efficiency, balance, and power. 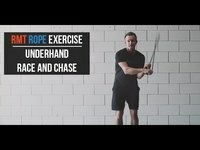 This is a series of videos that takes you through the exercises and variations using the Underhand Rope workouts.